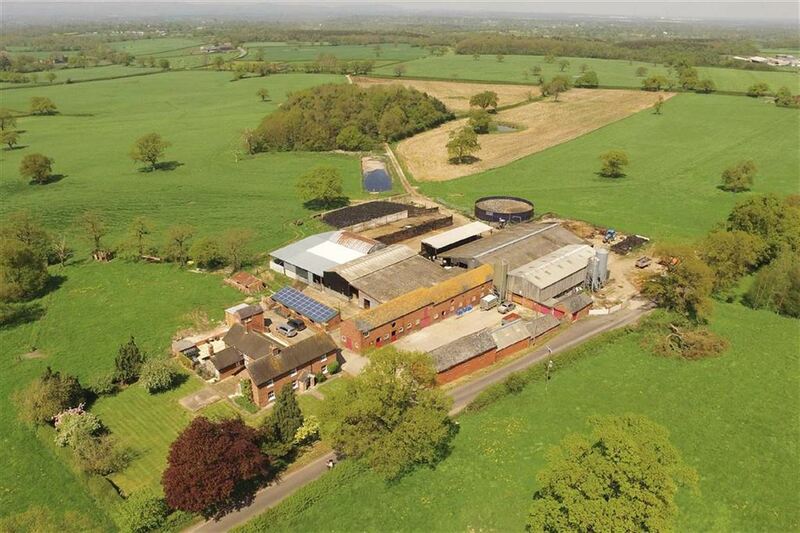 A first class mixed Dairy/Arable farm extending to around 170 acres in a noted farming district close to the North Shropshire Lakeland town of Ellesmere. 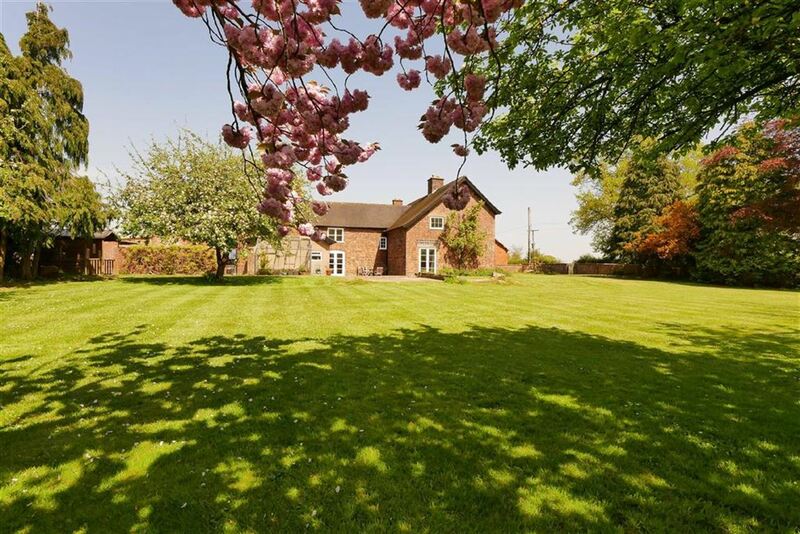 Halls are favoured with instructions from Mr J C and Mrs D A Hughes to offer Trench Farm for sale by private treaty. 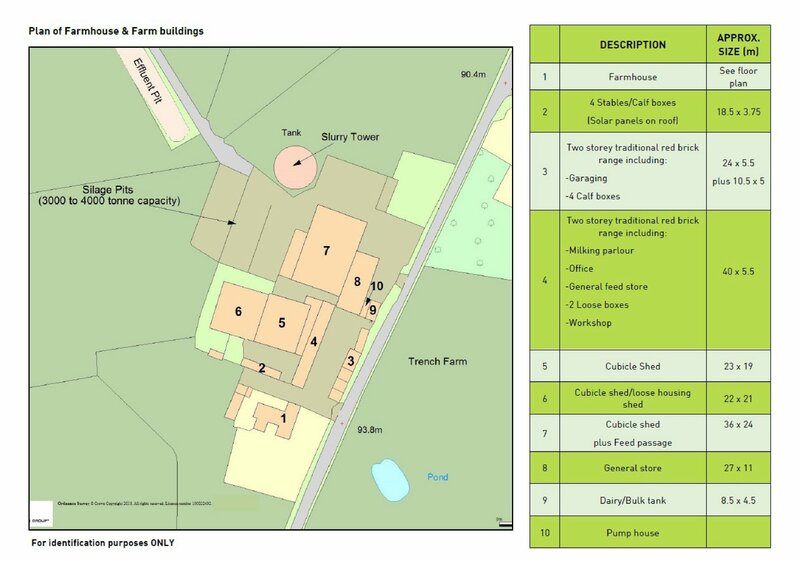 Trench farm is a first class mixed Dairy/Arable farm extending to around 170 acres in a noted farming district close to the North Shropshire Lakeland town of Ellesmere. The farm briefly comprises a substantial period farm house residence with lovely surrounding gardens, a range of traditional farm buildings with potential, modern livestock buildings with a fully computerised 24/24 Alpro Herringbone milking parlour and surrounding land retained in convenient sized enclosures extending, in all, to 170 acres, or thereabouts. 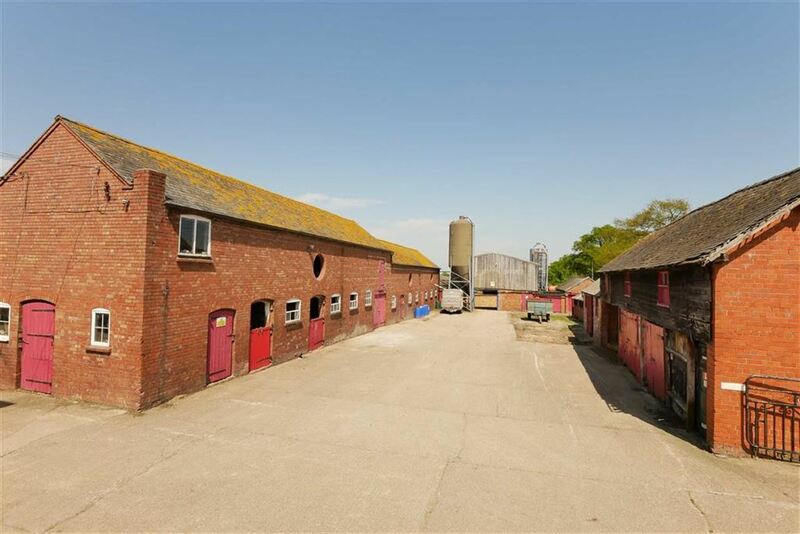 It is unusual for a high quality and versatile farm such as this to become available for purchase in this noted farming district and a personal inspection of the property is highly recommended by the sole selling agents, Halls. 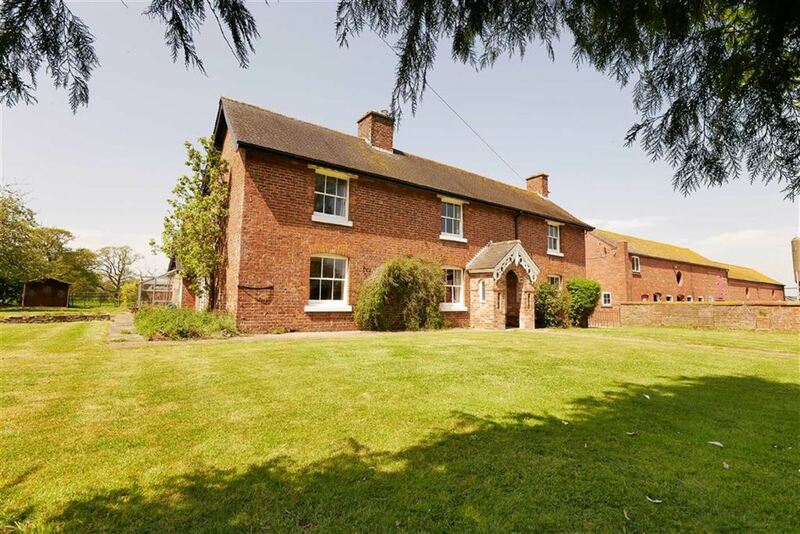 Trench Farm is located in an attractive rural location in the well known farming area, known as The Trench, approximately 1.5 miles north of the popular North Shropshire lakeland town of Ellesmere. Ellesmere has an excellent range of local shopping, recreational and educational facilities, yet is still within easy motoring distance of the nearby larger centres of Oswestry (8 miles) and the county towns of Shrewsbury (16 miles) and Chester (25 miles), all of which have a more comprehensive range of amenities of all kinds. From the centre of Ellesmere proceed on the A528 Wrexham/Overton-on-Dee road for approximately 1 mile and turn right signposted 'Penley'. Continue on this road for approximately 0.5 mile and Trench Farm will be located on the left hand side. 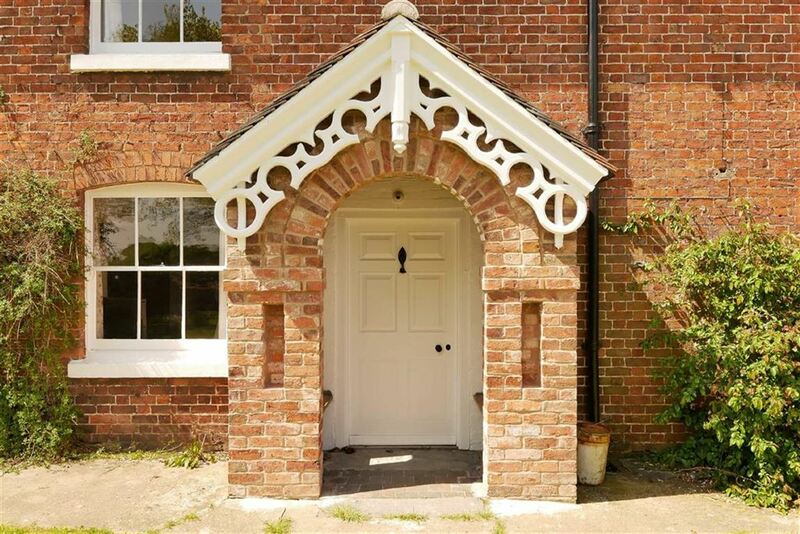 The residence at Trench Farm is an imposing double fronted period farmhouse of great charm and character. 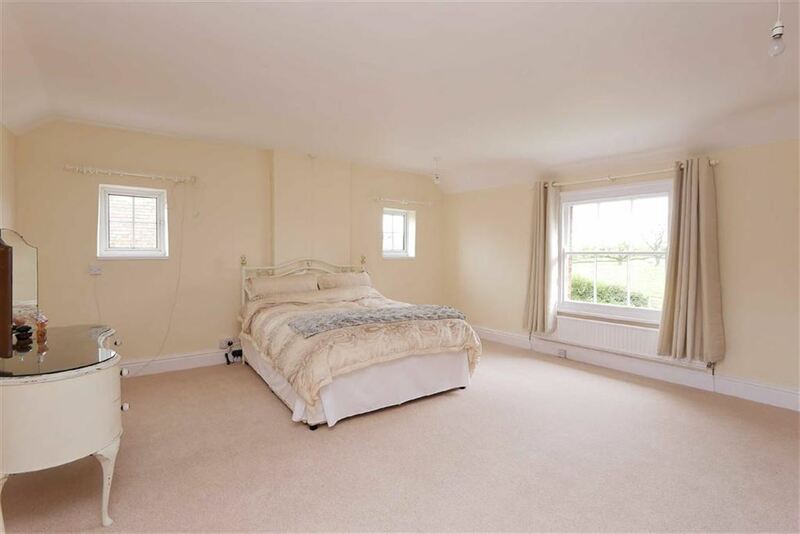 The well-appointed internal accommodation is presented to a high standard by the current Vendors and provides five reception rooms and six bedrooms over two floors. 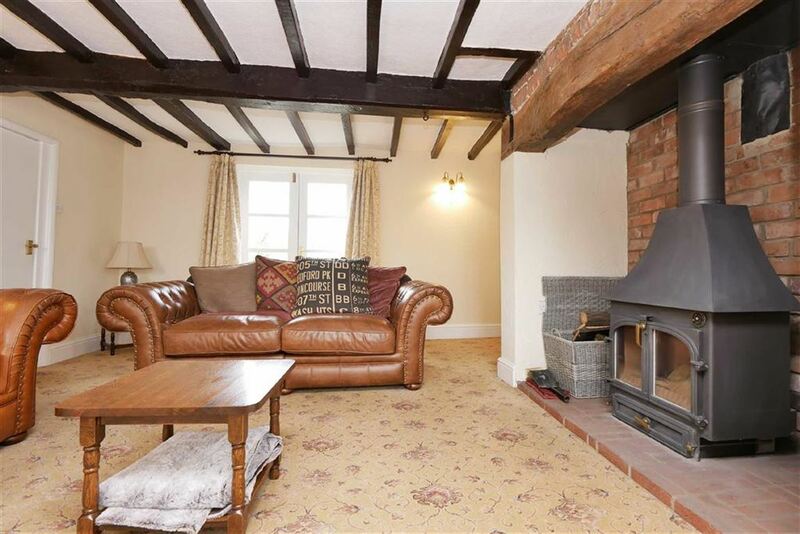 The property is predominantly double glazed with an oil fired central heating system, an electric Aga in the Kitchen and is presented for sale with the fitted carpets included in the purchase price. 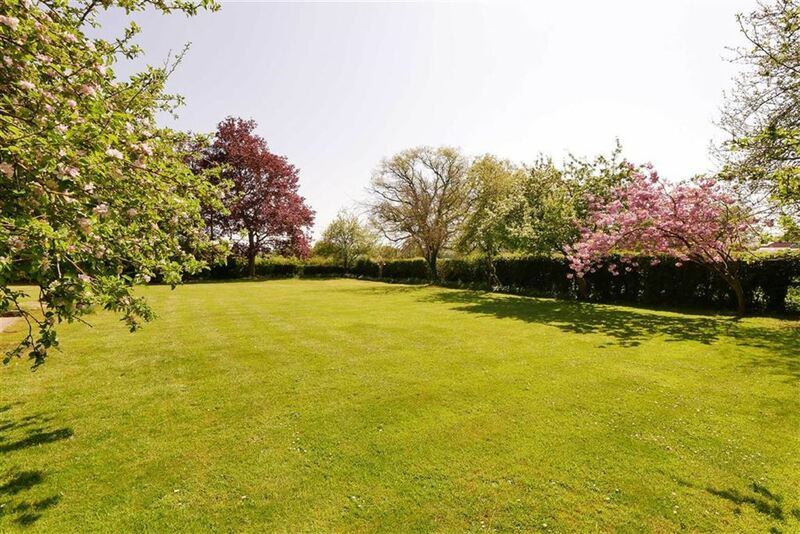 Outside, the property is complimented by good sized mature lawned gardens with an extensive patio terrace making a lovely setting for outside entertaining. The farm buildings are conveniently positioned with regard to the farmhouse and are principally set around concreted yards. 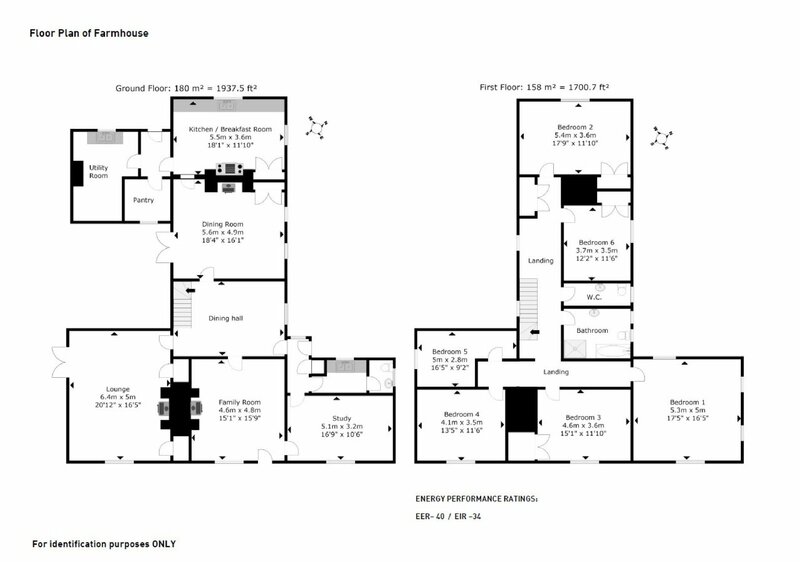 They include a traditional two storey brick Range which has considerable potential for residential conversion (subject to planning permission). 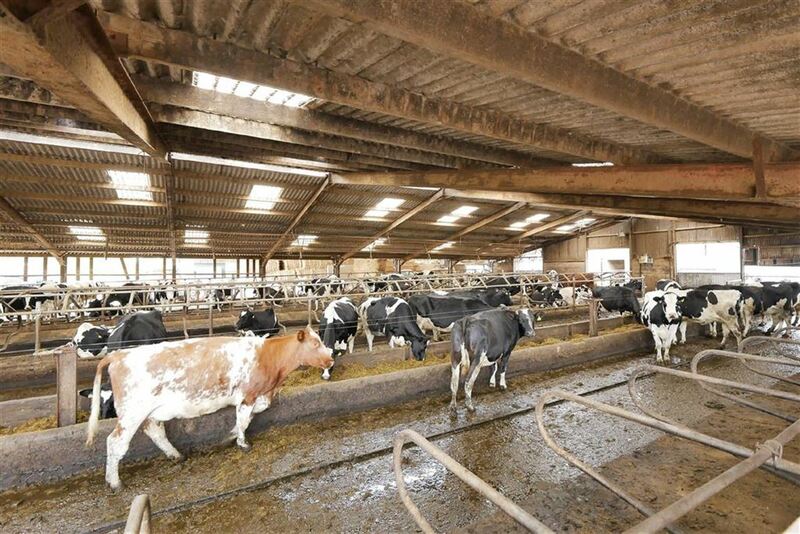 The more modern farm buildings include a fully computerised 24/24 Alpro Herringbone milking parlour with full Alpro management package, Alpro induction feeders, auto ID, and a Fullwood 8500 litre bulk tank with heat recovery, ice builder etc. 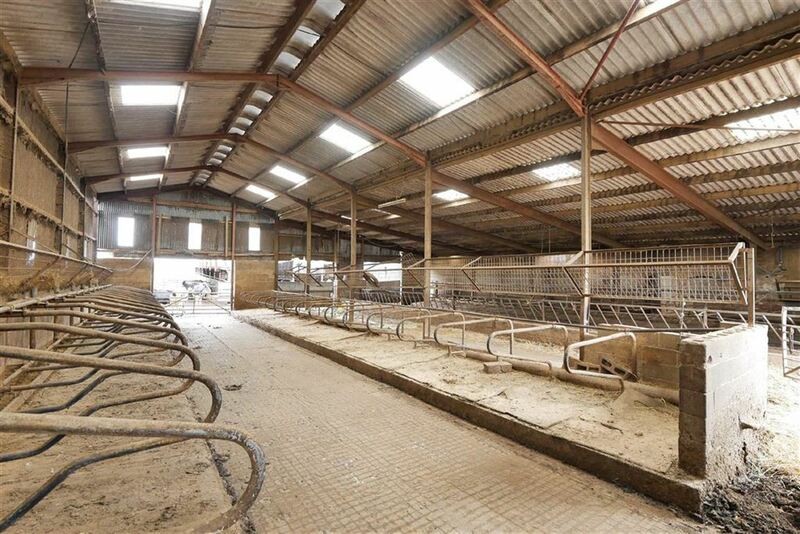 Together with extensive livestock accommodation. 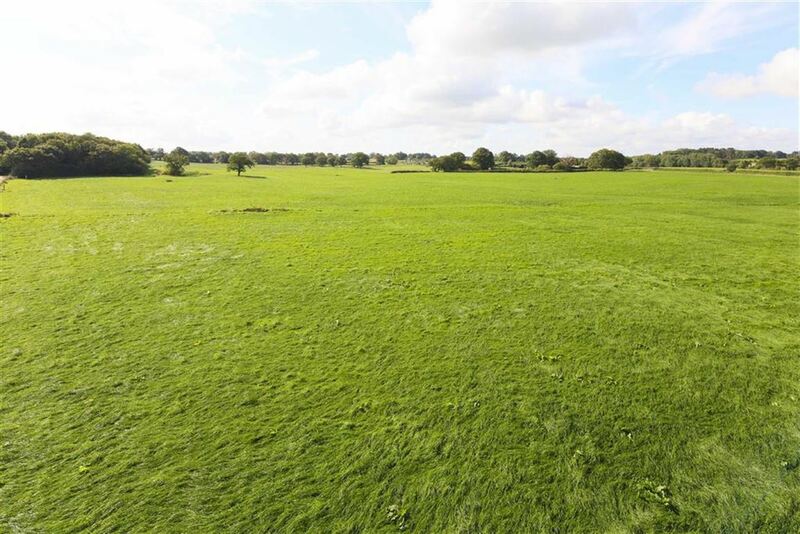 The land is a major feature of the property and is retained within three principal parcels intersected by council maintained country lanes. 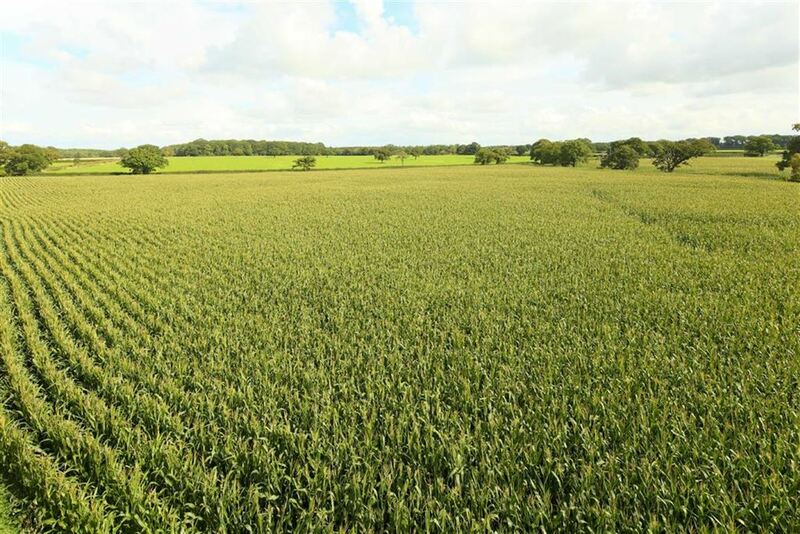 The land is divided in to convenient sized enclosures of arable and grassland currently with 41 acres down to wheat, 17 acres due for maize and the remainder being in grass. There is a variation of soil types ranging from a light sandy loam to one end of the farm to a more clay soil type to the other end. The land is capable of producing excellent yields of grass or arable crops with some of the farm capable, also, of growing root crops. 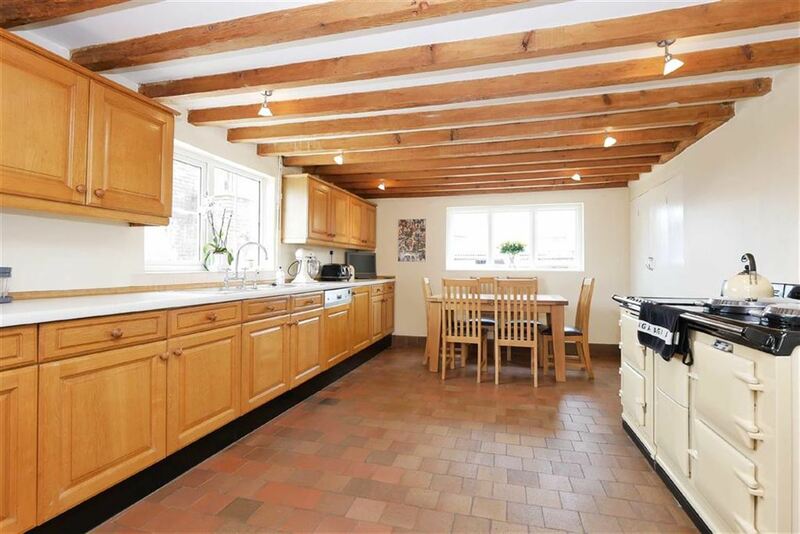 Trench Farm extends, in all, to approximately 170 acres, or thereabouts. 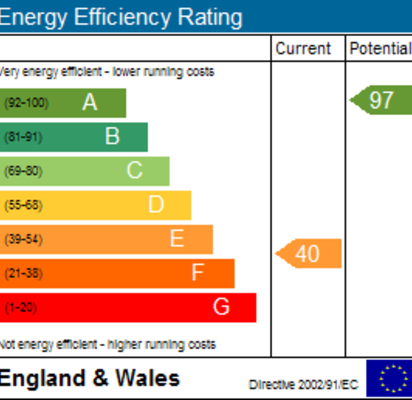 We understand that the farmhouse has the benefit of a mains water and electricity. Drainage is to a private system. 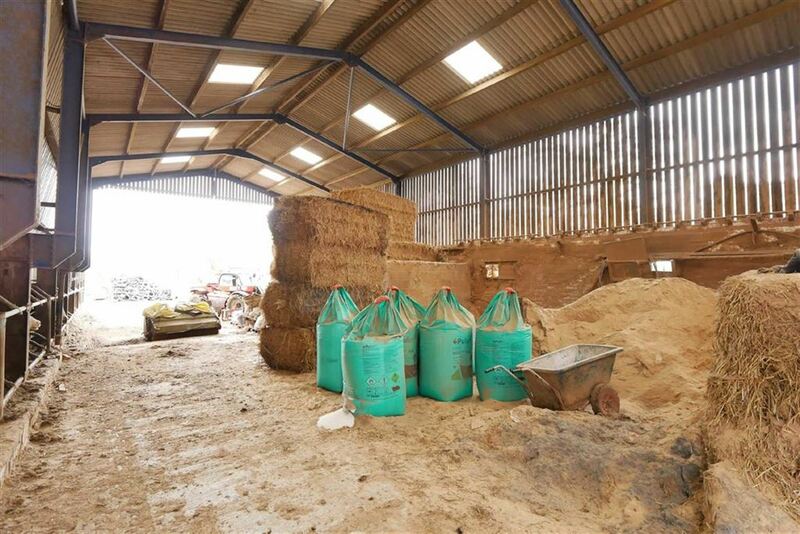 The farm buildings have a mains electricity supply and a private bore hole water supply. All fields have a mains or private water supply. We understand that the property is of freehold tenure and vacant possession will be given on completion of the purchase. Trench Farm is registered under the Basic Payment Scheme The Vendors will us their best endeavours to transfer an appropriate number of non-SDA Entitlements to the Purchasers, on Completion of the purchase, subject to RPA approval. The Vendors reserve the right to hold a dispersal sale of Live and Deadstock on the farm prior to Completion of the purchase. Shropshire Council, The Shirehall, Abbey Foregate, Shrewsbury, Shropshire. Tel: 0345 678 9000. 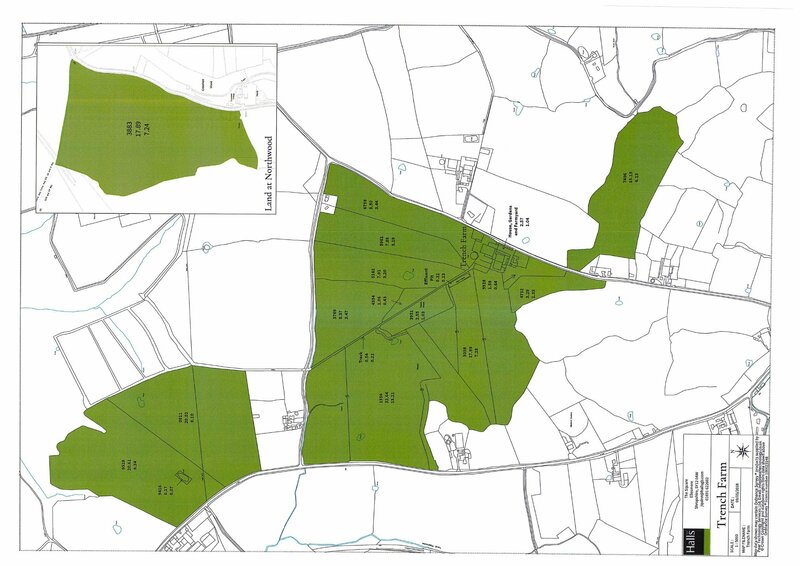 We understand that Trench Farm is in council tax Band 'E' on the Shropshire Council register. The payment for 2017/2018 is £2039.84. In addition to the purchase price, the purchaser will be required to take to and pay for, on completion, any growing crops and fodder and the standing generator (house and buildings) which is at the farm at the time. This will be calculated on the basis of seeds, fertilisers and sprays applied, in accordance with the Central Association of Agricultural Valuers recommendations.The valuation shall be carried out by Halls Holdings Ltd whose decision shall be final and binding. The holding number for Trench Farm is 35/156/0108. The SBI number is 106471436. The sporting rights are in hand and will pass with the property. 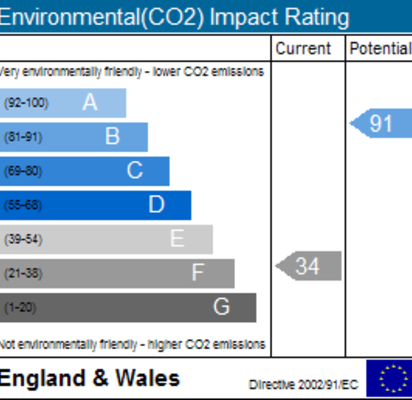 We understand that Trench Farm is not situated within the Nitrate vulnerable zone as designated by DEFRA. Trench Farm will be offered for sale by private treaty. The selling agents, Halls, as agents, on behalf of the vendors, reserve the right to alter, divide, amalgamate or withdraw any of the property for sale at any time. The selling agents, further, reserve the right to sell the farm without prior notice or explanation and no liability will be accepted to any intending purchaser in consequence of such a decision. All lots will be sold subject to any development plan, tree preservation order, town planning schedule, resolution or notice which may be or come to be in force, subject to any road widening or improvement schemes, land charges and statutory provision or byelaws without any obligation on the Vendors to specify them.